From questions about God and scriptures to obscure passages; from things that make you go “hmmm” to doctrinal teachings that seem to make little sense, there’s something here for everyone in this collection of mini-teachings. Each topic is covered in one to three pages of easy to understand paperback reading. As a special bonus, we’ve also included some of the Stories behind our Songs. Young and old alike have been saved, healed, and set free by the demonstration power of God’s word thru Mark and Denise’s music and teaching. 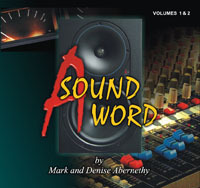 This six CD audiobook is a collection of mini-teachings narrated and recorded by Mark and Denise. 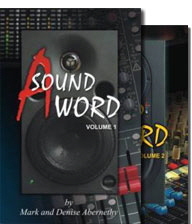 All the material from the two volume book set (see above) is included. A great bonus to The Story Behind The Song section is the inclusion of the actual recorded songs that are talked about! That means you receive a total of TEN songs in addition to the actual teachings. What a deal! Young and old alike have been saved, healed, and set free by the demonstration power of God’s word thru Mark and Denise’s music and teaching.